Munich: TSV 1860 to search for land outside city limits? After months of silence, Jordanian investor of TSV 1860 Hasan Ismaik explains the club’s stadium search in an interview for Münchner Abendzeitung. In terms of good news there is communication between the city of Munich and the club. “A few days ago I received a letter from mayor Dieter Reiter. He has assured us again of his support for 1860’s new stadium plan. That’s positive, but the negative things is that we haven’t progressed with the stadium”, Ismaik said. The location preferred by TSV 1860 for a new football-specific stadium in eastern district of Riem proved unfeasible to fit 52,000 spectators, which was a long-term goal of the club. “The site in Riem is too small even for 35,000 people. […] We can no longer expect our fans, of whom there are 150,000 throughout Germany, to remain homeless. At this time we have no perspective and I have communicated that to the mayor”, Ismaik says. Munich has three existing stadiums which were at various stages viable options for TSV but are all undesirable at present. 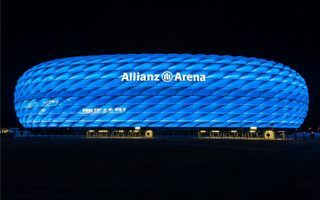 “Allianz Arena is owned by Bayern, we are barely tolerated there. Grünwalder Stadion is equipped only for 2. Bundesliga and women’s football. Olympiastadion is a listed monument. So where are we supposed to go? If we’re still at the same stage in six months, we will consider whether we should find a property outside of Munich”, the shareholder said.